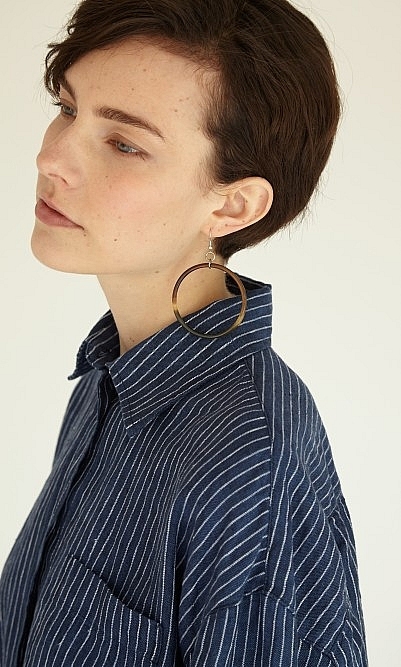 Stylish oversized hoops hanging from silver hooks and crafted from polished horn. Light and easy to wear. Colour may vary. Dia6cm.